Spending most of his life in New Jersey, Philadelphia, and New York City, Mike is a Northeast guy through and through. Most attribute his no nonsense, loud mouth attitude to growing up in this part of the world. He grew up in the 80’s during the golden age of Rock n Wrestling’s WWF and the pinnacle decade of slasher horror. One of Mike’s hobbies throughout life has been collecting his own video stores worth of VHS and DVD’s from the 80’s and 90’s, but he also has a museum of Wrestling, Horror, and Pop Culture memorabilia from those decades which he has dubbed the “Last Old School Generation”. Mike has worked in Pro Wrestling since 2002, most of the time calling the action from ringside and taking the nickname “21st Century Broadcasting Marvel”. He has been seen in WLW, BCW, Pro Wrestling UnPlugged, has filmed a pilot for MavTV with RAGE Pro Wrestling, and appeared on Pro Wrestling Syndicate TV which airs on WLNY 55 in NY, NJ and CT and PhillyCAM in Philadelphia. In 2016, Mike was chosen by Warner Bros. to attend a pre screening of “Batman v Superman” before the films release exclusively for critics and show hosts. Most notably Mike is the host of the “Midnight Jury” and “Midnite Mike Show” for WLW Studios since March of 2013. “Your Pal” Cal realized his passion for the 80’s and 90’s since the beginning. A love of mainstream comics and an almost-unhealthy knowledge of Star Wars since childhood has helped him to provide a viewpoint that is somewhat unique among the other Jurors. 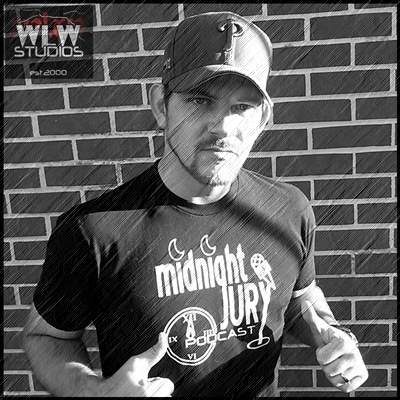 Cal has joined co-host Mike for many notable Midnight Jury milestones including broadcasting from the legendary ECW Arena in Philadelphia and being chosen by Warner Bros. to be at a special pre-screening of “Batman v Superman” before the films release exclusively for critics. Adam is a procurer of many things odd and obscure. His appetite for detail and thorough examination gave rise to his “Overly-Analytical” moniker. A native of North Jersey, Adam has found himself at odds with some of the cultural norms of his home region, especially as it applies to pro wrestling. He grew up in firm WWF territory, but fell in love with the Southern-based World Championship Wrestling. Even as WCW fell out of favor with the wider wrestling audience, Adam fought ardently against the constant ridicule of his favorite wrestling promotion by the pro-WWF fans around him. Unfortunately, WCW (and Adam), much like the Southern Confederacy, lost the war, and the winner has had free reign to rewrite history. Adam is now strongly dedicated to the cause of Nashville-based TNA Wrestling. It’s the newest chapter in the crusade against the aggressive and predatory company from up North: WWE. As far as Adam’s musical tastes are concerned, he’s living in the wrong time period, too. 1980’s New Wave/Alternative is his preferred musical genre by far. His favorite bands include Wall of Voodoo, Depeche Mode, Ministry, and A Flock of Seagulls, among many others. Adam shares such musical selections on “Vinylly Rediscovered”, a recurring segment on The Midnight Jury. Sydney spent most of her time growing up on Long Island and Central Connecticut performing. After acting in many plays during her high school years including “Once upon a Mattress” where she followed in her idol Carol Burnett’s footsteps as Princess Winifred the Wobegone, and winning a Connecticut High School Best Director award for “Twelve Angry Men” she made her way to Philadelphia to attend and graduate from the University of the Arts. During her time there, she excelled and was praised for her roles in Equinox shows, and for her portrayal of Ann Putnam AND Sarah Goode in “The Crucible” which ran on Philadelphia’s Broad St. Avenue of the Arts. Since, she not only took up her post as a co-host of the Midnight Jury and After Midnight podcasts, where she earned the nickname “The FIRST LADY of the SWN”, but has also done voice over work for Scholastic Books DVD’s and performed in Philly based comedy troupes. 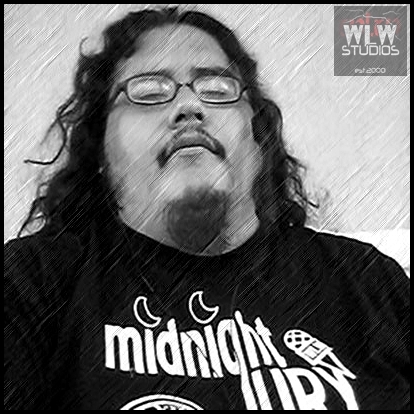 “The Man, The Myth, The Mouth” has WLW Studios roots that go back many years, but joined the Midnight Jury in the Spring of 2018. Tony is outspoken, loud and doesn’t back down from his opinions. Tony loves to sing and is a huge 80’s and 90’s music fan with tastes ranging from Hip Hop to Pop to Rock. Amy grew up in Abilene, Texas and spent the 80’s and 90’s growing to love horror movies. Her love for film moved her to Orlando, Florida in 2005 where she got her BA in Psychology and a BS in Film at Full Sail University. In 2017, she moved back to Texas and now resides in Fort Worth where she is a Training Manager for a call center that captions phone calls for the deaf. 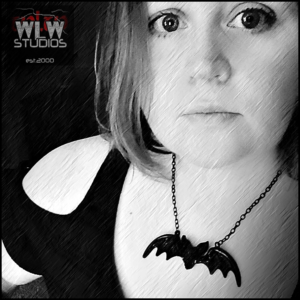 In October of 2018 she joined WLW Studios to Co-Host the Midnite Mike Show and be a Correspondent for the Midnight Jury. Pro wrestling played a major role in Joey Mandella’s life since Wrestlemania III. Joey marches to the beat of his own drummer and during his youth he watched the transition from legends years, to the new generation, then to the attitude era ALL as it unfolded. Bruce Springsteen, rock, hip hop, good movies (el duderino), acting, athletics, animal-free eating & a positive attitude have been part of Joey’s “M.O.”, but wrestling is his passion. 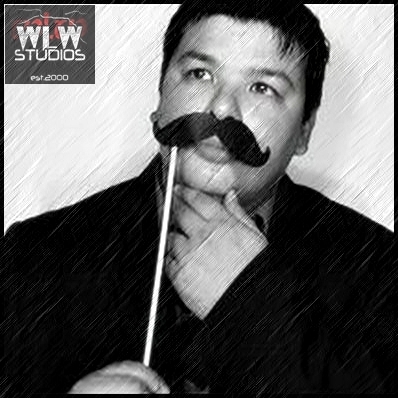 Although he hasn’t been an in-ring competitor, Joey started calling the action for WLW in New Jersey around 2002. His valuable insight and entertaining style made him an early hit with talent as well as the fans. He then became a broadcast journalist for RPW which has given Joey “Justice” the opportunity to tour PA, and share the booth again with Mike Noringonger and now Adam Henning. 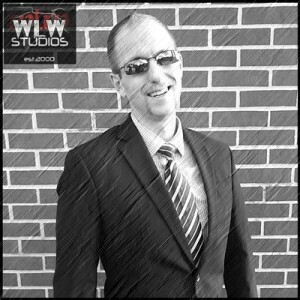 Most recently, Joey has appeared at Pro Wrestling Syndicate, and on PWS TV on WLNY 10/55 with the Jury, which has been a tremendous experience considering the quality of performance, production and of course, the rabid audience. The Midnight Jury welcomed Joey into the fold in 2014. He says that he is constantly learning from the hosts and his fellow correspondents. Joey shares Adam’s 90’s allegiance to WCW and Mike’s taste in rock music. However, Joey’s outspoken manner, unusual critiques & subscription to WWE Network have been known to get a rise from his colleagues. “Handsome” Dan Lopez first discovered pro wrestling as a kid in 1984 and was immediately hooked. A critical thinker and prolific writer, Dan has lent his opinions to several wrestling-related websites including SPINEBUSTER.com, WRESTLING RAMBLES, RING WARS, and his own blog page, Handsome Dan’s Last Word. 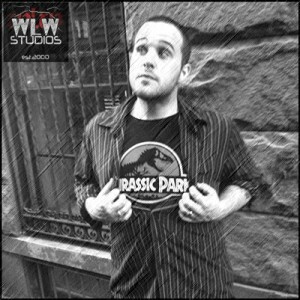 After a couple of unsuccessful attempts at starting a podcast on his own, Dan teamed up with WLW Studios to produce Handsome Dan’s Final Say and immediately fit right in thanks to the show’s unique perspective, thought-provoking topics, and Dan’s utter refusal to back down from his strong opinions. As a member of “The Last Old-School Generation” Dan has also contributed as a guest correspondent for the Midnight Jury, being a fan of 80’s & 90’s comic books, movies, music & TV. But pro wrestling is where his passion truly lies, and he’s made it his mission as “The Smartest Man NOT in Pro Wrestling” through the Final Say, to raise his listeners Wrestling IQ. 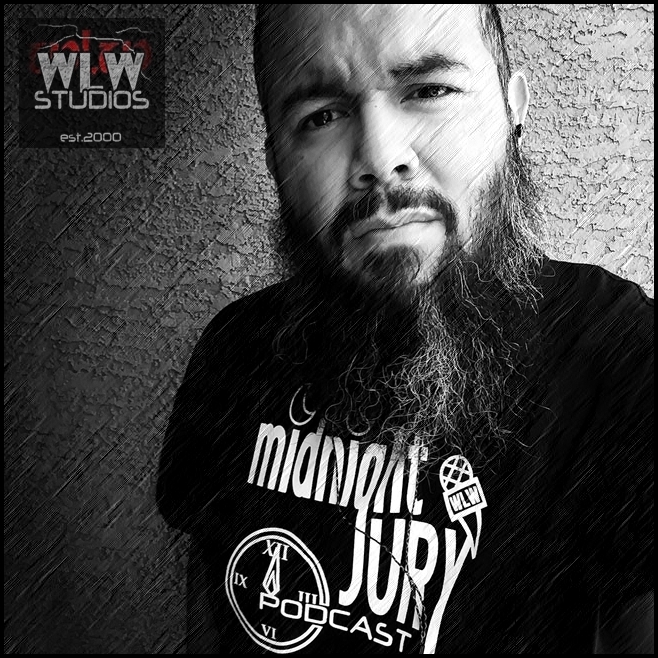 Born and raised in San Antonio Texas, WLW Studios’ “Lucha Liaison” Jay Baca enjoys his Comic books, Sports, Movies, podcasts & many other aspects of Pop Culture; his first love is Professional Wrestling. 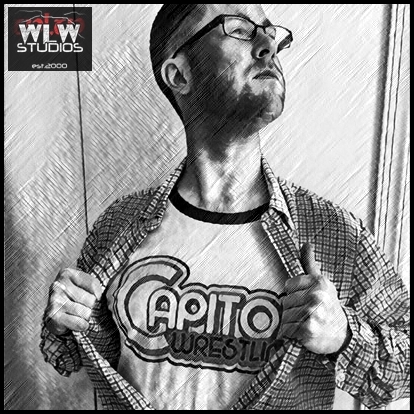 A lifelong “mark” of the industry, Jay has spent countless hours enjoying the spectacle that is Professional Wrestling and is grateful for the opportunity to finally have an outlet to talk about his love and admiration for the genre. Jay couldn’t be more honored to be a part of the WLW Studios Family. 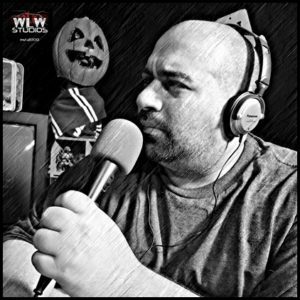 You can catch Jay hosting his segment “The Lucha Lounge” on back episodes of the Squared Circle Sound Off and joins Dan on many episodes of Handsome Dan’s Final Say! 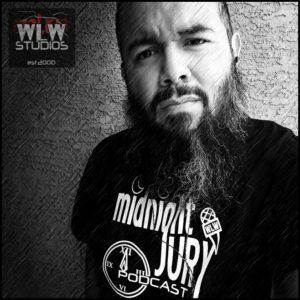 Your host every Thursday of the Squared Circle Sound Off, Sean brings you up to date on all things WWE including RAW, Smackdown Live, 205 Live, NXT and PPV’s. He also interviews independent wrestlers from all over the Mid-Atlantic region. 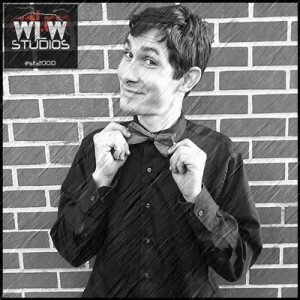 WLW Studios resident loose cannon, Tim travels the country in search of interesting people and adventures. An expert in both wrestling and movies, Tim shows up occasionally to keep the other members of the Jury on their toes. Tim writes and produces his own comedy skits, cartoons and movies, and can currently be seen at Universal Studios in Orlando, FL. 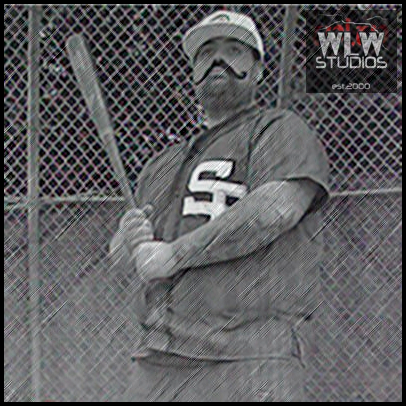 The “Fantasy Guru” of WLW Studios, Stubs is your guide each week on a journey through professional sports. 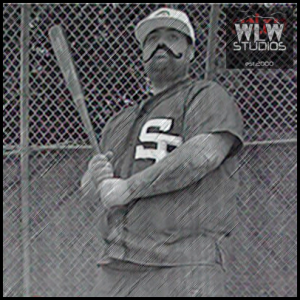 Although in his mind he is still taking a bus from city to city like in the golden age of baseball, Stubs broadcasts from and calls New Jersey his home.